So this is page 25 of SaltyDogIV. 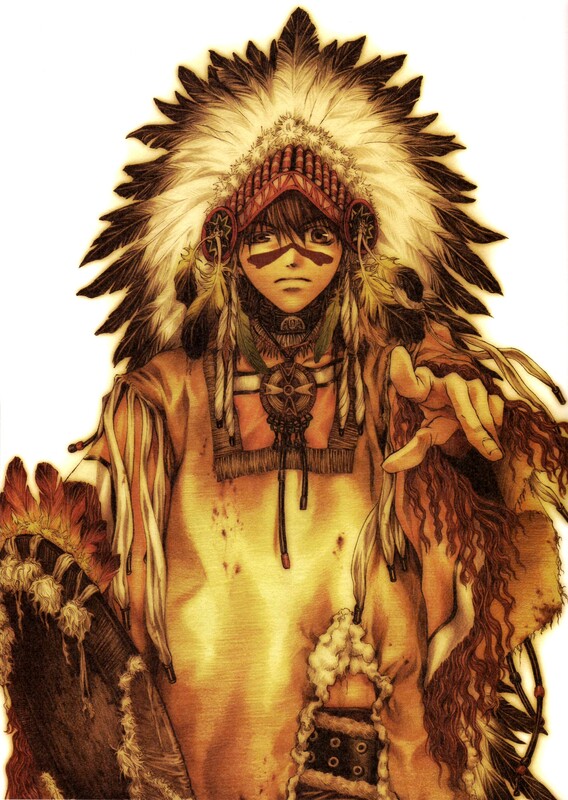 Goku looks somehow... cute in this Indian costume, but I`m sure Sanzo would look much, much better with them :D. As always... Great image, like all your scans, thank you for it ! I APSILUTLY LOVE THIS ONE. HE LOOK'S SO COOL, IN THIS GET UP. SO SAVING TO MY FAV'S. THANK'S FOR SHARING. ohhh.. here comes the indian goku! Goku reminds me of Gat in this pic. Anyways thx for upl;oding!